We developed a more streamlined methodology to translate component-based designs into easily adjustable pages and views – with minimal duplicate code. Previously in a MVC + Objective-C environment, our view controllers would dictate the UI representation. This could lead to a lot of repetitive code or one large parent view controller. When we started to develop the new MyProximus application, these issues became painfully obvious. We noticed that different pages looked more or less the same when filled with data. All of them had loading and error states, which also looked the same across all parts of the app. 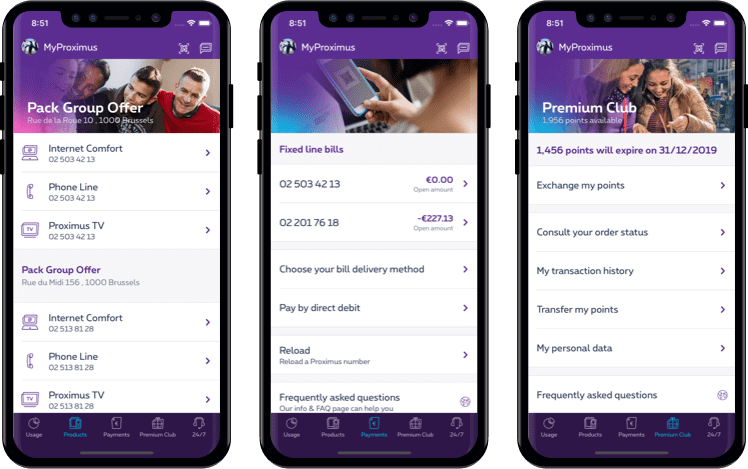 And because a solution using MVVM would come more naturally in Swift, this would immediately make the MyProximus app our largest Swift app to date. Let’s take a first look at the designs to see what we’re talking about. As you can see, there are a lot of similarities here, with some slight variations.. Looking even closer, you can define similar blocks of UI across different screens. This conscious design methodology (which we’ve talked about in more detail in this post) of reusing visual elements to create a coherent look, also lends itself perfectly to reusing a lot of separate components in development – just displaying different data and positioned differently on each screen. We’ll be using Swift and incorporate a type of protocol-oriented MVVM (model, view, view model). This way, we’ll minimise the logic within the view controllers, and keep the control somewhere more suitable. A view controller doesn’t need to know about its content – the view models can dictate how they want to be presented. In what follows, we’ll go into some more detail on the way we handled different components in this project. For the time being we’ll focus on the first 4. The action isn’t relevant when building the UI and will be discussed later. Now, it’s important to note that for the following solution to work, we’ll need to set some rules to make our lives simpler. Views presented by the tableview should have a configure function, so they can be configured with their specific view model. This will be in the form of a protocol that can be easily implemented by other view models. An example for this will be provided later on. So, we have sections to display, and each section should have its own cells. Both have a height and a reuse identifier. So essentially, they are the same. Using all the capabilities a tableview provides us, we also added the footer. Both the section and footer are optional because a section within a tableview doesn’t necessarily needs to display a view for its header or footer. Important to note is that header/footer views and cells should be pre-registered to the tableview. For the most common ones, this is done by calling an extension function on the UITableView. Custom cells and header/footer views can additionally be registered within specific view controllers. Calling this function will ensure the most-used and common ones are already registered and handled accordingly. This ensures the conformity to the tableview’s datasource protocol. Next up is the implementation of the delegate protocol. What actually happens is that we check off the class of the view in the switch case. If the type matches, we try to configure it with its specific view model protocol; otherwise we throw an error. @IBOutlet weak var messageLabel: UILabel! So, an instance of InfoCell will be displayed as an InfoMessageTableViewCell in the tableview. It is the InfoCell instance that will be present in the sectioned datasource for the tableview composition. The next code examples describe a possible sectioned datasource in 2 stages. In some cases, a cell should trigger an action like, for instance, a navigation. 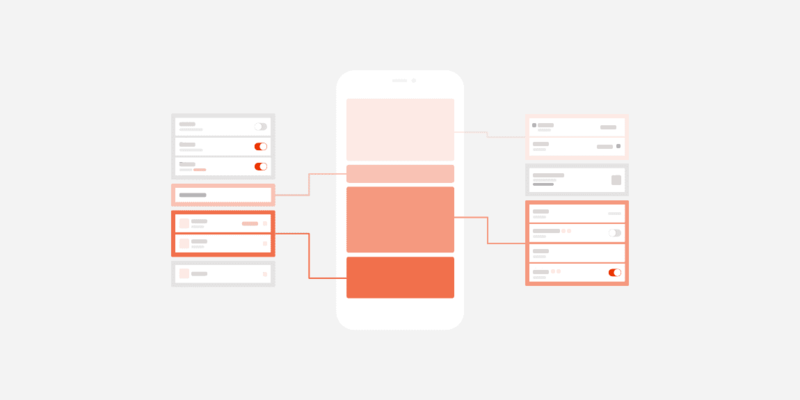 For this specific app, we chose to use an internal route navigation framework we developed. It is as simple as asking the URLRouter to open a routeUri. A routeUri is represented as a string. When the URLRouter has a route matching the routeUri, it will trigger the handler block for that route. With this in mind, we can further complete the TableViewItemViewModel and UITableViewDelegate implementation. The action provided with a TableViewItemViewModel will simply be an optional routeUri (String). 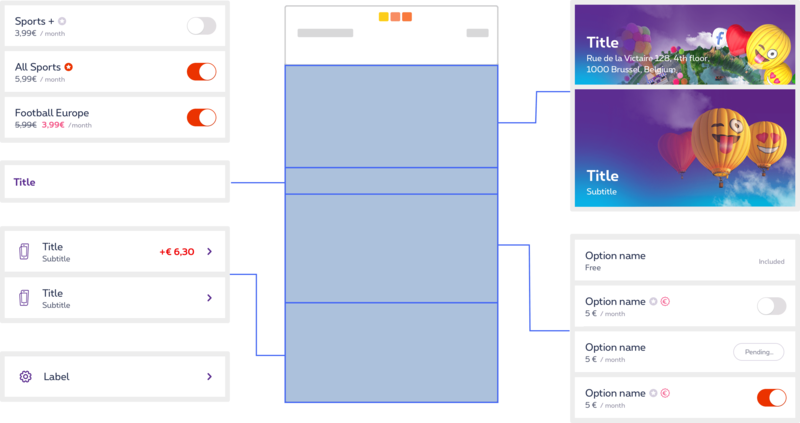 Using this way of programming and this design pattern, it is very easy to compose different screens by just creating the datasource for the tableview. It makes changing states more easy. And it is also much faster to implement new sections because the heavy lifting, in terms of creating visual representation, has already been done. What are your experiences with MVVM in Swift? Or do you have suggestions or remarks to improve our approach? Let us know via Twitter @novemberfiveco!